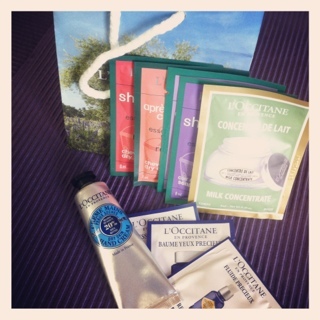 L’OCCITANE en Provence had an offer on their Facebook – for every sign up to their website you got a free hand cream valued at $6. If they reached 6,000 subscribers they would upgrade you to the bigger hand cream valued at $12. They reached 39,000! The catch was you had to pick up your hand cream in store and we don’t have a store locally. The hand cream is pretty nice – it is a little thick but absorbs pretty well. It has a pretty nice smell to it too and leaves your hands soft. I am such a hand cream addict, a girl can never have too many. This one is a bit pricey, but a good hand cream can be worth it. The downfall is, there is no where for me to buy this locally if I wanted to. So yesterday a friend and I drove an hour and half to pick ours up! It was a fun day. The L’OCCITANE en Provence store was nice – I have been in one before but never really checked it out. It looks like they have some really nice products – bit pricey though. They also loaded the three of us up with some free samples on top of our free hand cream. While we were there we hit up Old Navy since we don’t have one (yet) – I picked up a couple things. There wasn’t that many great deals, but I found a couple items I liked. I don’t normally pay full price there but I did have a 20% off coupon so it wasn’t too bad. 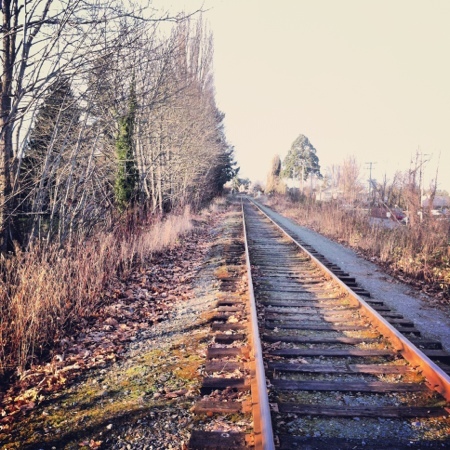 And I really liked what I found – a neon orange t-shirt, woo! We also got to see another one of my really good friends. Had a delicious lunch at Red Robin and hit up American Eagle where I found some $15 jeans. We don’t have any of these places in our town so it was a really fun day. We got lots of walking in too (over 15,000 steps and 35 flights of stairs according to my FitBit). 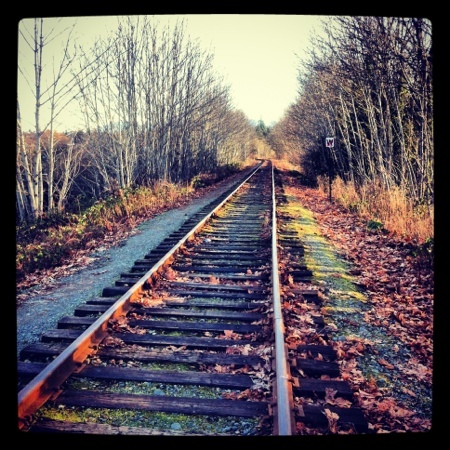 This entry was posted in free, free gift, freebies, samples and tagged free, free gift, freebies, samples on February 26, 2012 by Courtnie. 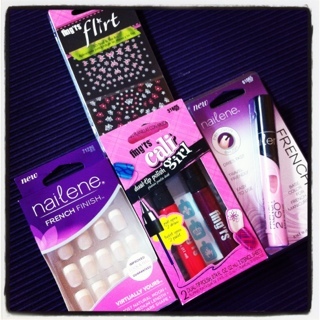 I have made a few trips to Shoppers Drug Mart in the past few days and picked up some various deals along the way. Browsing around Shoppers Drug Mart the other day when I saw this HUGE table of various Allude pantyhose, stockings and knee highs – I really don’t wear them much. But it is something I never have when I want it and they are always so expensive and I normally only get one wear out of them. Damn finger nails. I picked up 7 boxes – some boxes had multiple pairs. Probably a tad too many, but I have a few friends I can donate too. I just couldn’t resist, even a half decent pair from the dollar store is $2. I found 2 Quo Compact Mirrors in a $1.00 at Shoppers Drug Mart last night. For a while now I have been thinking how badly I need a mirror in my purse so I was super happy to find these. Can’t believe how expensive they were regular price! Cute little mirrors. Super happy with this fine. 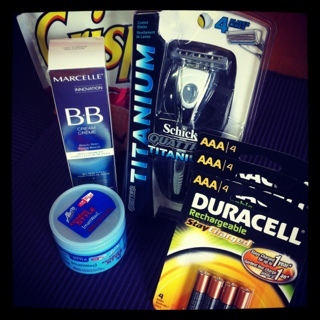 This entry was posted in clearance, cool finds, coupons, shoppers drug mart and tagged clearance, cool finds, coupons, shoppers drug mart on February 21, 2012 by Courtnie. On Friday I went into the mall to get my free Bath and Body Works trial size item thanks to their Valentine’s Day coupon on Facebook. 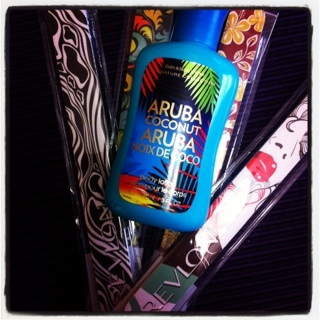 I picked one of the newer scents, Aruba Coconut – smells great. Man I love Bath and Body Works. After getting my free lotion I headed into Walmart for a quick look around. 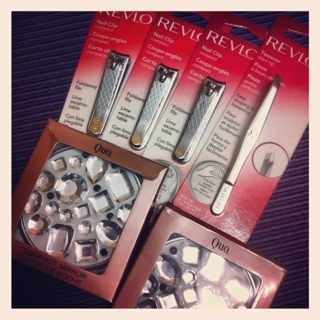 I found some Revlon nail files for $1.77 – perfect to pair up with my $2.00 off Revlon Beauty Tools coupon I found at Shoppers Drug Mart last week. I grabbed 4. I really didn’t need anything else in Walmart so I thought I would see what happens with my overage. Well… THEY GAVE IT BACK TO ME AS CASH! It was only $0.07 but I couldn’t believe it. This is the first time I have been paid in cash back to use coupons. Super exciting. 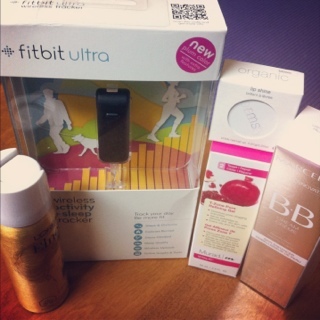 Since Friday was my first day wearing my FitBit I was actually just walking around the mall to get my steps up – it worked out well and I left with some freebies. In fact, I didn’t spend a penny and left with 7 more than I entered with. Awesome day. 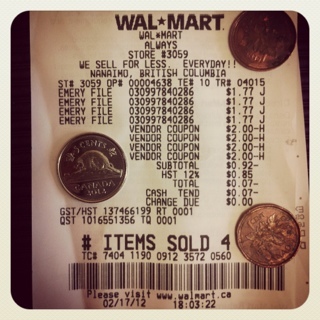 This entry was posted in bath and body works, canadian coupons, coupons, free, freebies, fun, walmart and tagged bath and body works, canadian coupons, coupons, free, freebies, fun, walmart on February 19, 2012 by Courtnie. 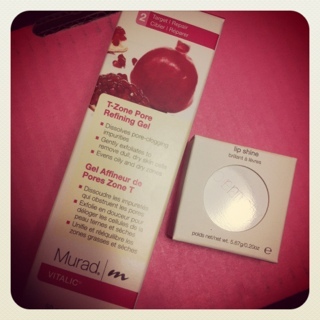 Mail Freebies: Marcelle, RMS Beauty, Marcelle and MORE! Today was an amazing mail day – the best I have ever had. 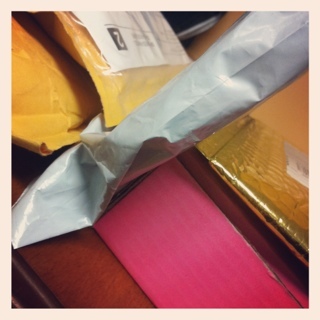 I had 5 packages (and an envelope) waiting for me when I got home! It was almost as good as Christmas morning. I actually feel bad for my poor mail person today. Least we don’t have door to door delivery – they just had to drop them all in a box. Free product coupon for CheeCha Puffs came from an offer on their Facebook page a week or two ago. L’Oreal Paris Elnett Hairspray came from an contest on their Facebook page before Christmas – it was an instant win prize. Took a while to get. 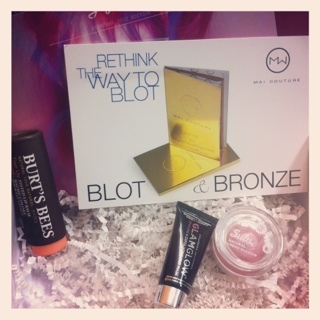 The Marcelle BB Cream is one of the most exciting freebies I have received yet. I got this for referring 10 friends to sign up for their Facebook page last Tuesday. This came REALLY fast for an amazing freebie. It is full size and worth $22.95 plus tax. I had previously read other bloggers saying how awesome it was and had tried to find it in stores (not knowing it didn’t come out until last Tuesday) so I am extremely excited to try this out. The FitBit was a Valentine’s Day gift from my fiancé. Last Thursday I went for dinner with a girlfriend and she gave me all kinds of rave reviews about hers – I came home and was telling him about it and he ordered me one right then and there. I can’t believe a week later it was at my house. It shippied from California and arrived in Canada in under a week (not even 5 full shipping days). You can check out more about the FitBit on their website and order your very own with FREE shipping! In case anyone is wondering, I used the free shipping option and it still came super fast, so save your pennies and don’t bother with any of the paid options. I am sure you will be seeing more posts about my FitBit in the future. And last but not least, my Free Lean Cuisine Lunch Bag. 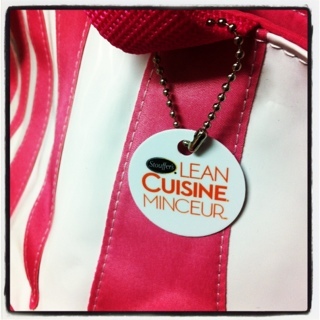 Last month leancuisine.ca was offering double points on Lean Cuisine pins. Each meal was worth 500 points and you could get a lunch bag for 1500 points (3 meals). Combined with both the Facebook offers for free meals, a friend giving me her pins and a couple I had in the freezer I was able to get TWO lunch bags! The second one should be here soon. It is a really nice bag and a good size. Really happy with it and can’t wait to try it out. All that came today! CRAZY!!! Earlier in the week I also got a free product coupon for Philadelphia Cooking Creme. 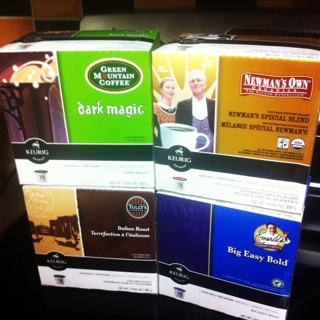 And something I forgot to mention – last Monday February 6 – I was the first person to tweet @londondrugs and I won 4 boxes of Keurig K-Cups – got to pick them up last Friday. Bit slow on posting that. Anyway, it has been a really great week. Wonder if there will be anything exciting in my mailbox tomorrow? Another lunch bag perhaps? 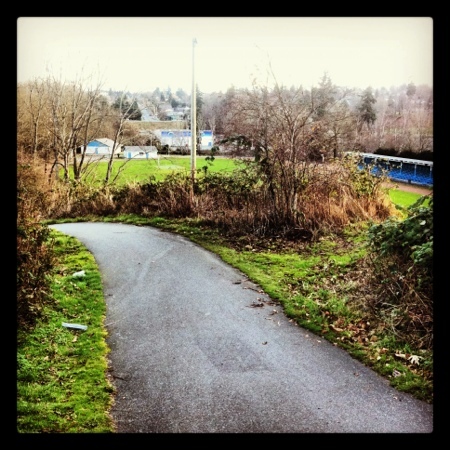 This entry was posted in free gift, free product coupon, freebies, mail and tagged free gift, free product coupon, freebies, mail on February 16, 2012 by Courtnie.